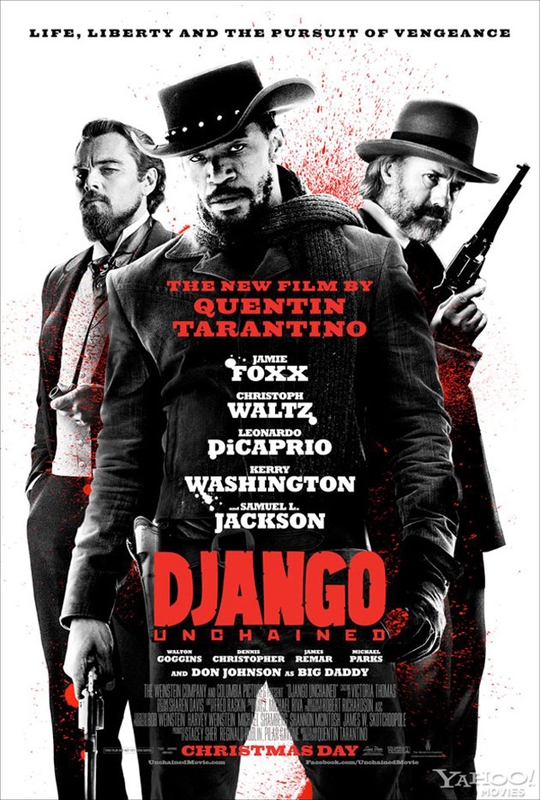 This cast appeared to be a can't miss and Tarantino delivered. No big surprise. 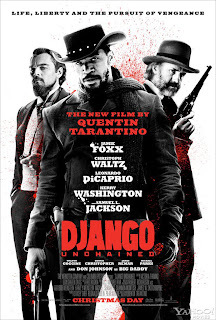 This western is engaging, full of action, with classic dialogue and over the top quirky acting. Nobody is this interesting and verbose in real life, but it all seems to work in a QT movie. In a previous post I shared a review from Jim Emerson that suggested that in Christoph Waltz Tarantino has found someone that can speak fluently in his unique dialogue. This is an ability to deliver clever articulate dialogue without coming across as nerdy or stuffy. It just plainly raises the level of memorable scenes and becomes another element of the movie much like scenery or cinematography. Through Quentin, Waltz will become something of legend. Book it. Not a family movie the dialogue is time sensitive and chuck full of swearing and racial slurs. But this is forgivable given the era of setting. The truly unique thing about QT movies is that you will leave the theatre with plenty of memorable scenes that will live forever in your cinematic utility belt. Who hasn't recited dialogue exchanges or drawn reference to scenes from movies such as Pulp Fiction, Inglorious Basterds or Reservoir Dogs? Well this film is no different and will likely deserve a few more viewings just to fully internalize them. A must see if you love cinema and have a strong stomach for language and violence.